A fantastic, fun and economical little light that packs a punch when lighting up a room for parties. 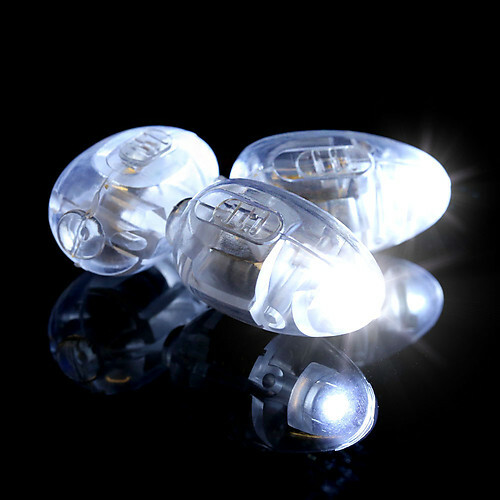 Insert these small LED Balloon Lights into ordinary balloons to instantly transform it into an amazing light up display!! 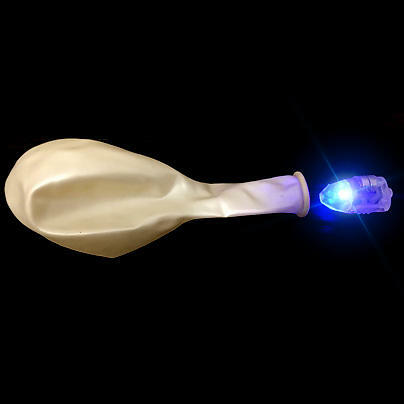 Can be used with helium to create a ceiling full light up balloons. 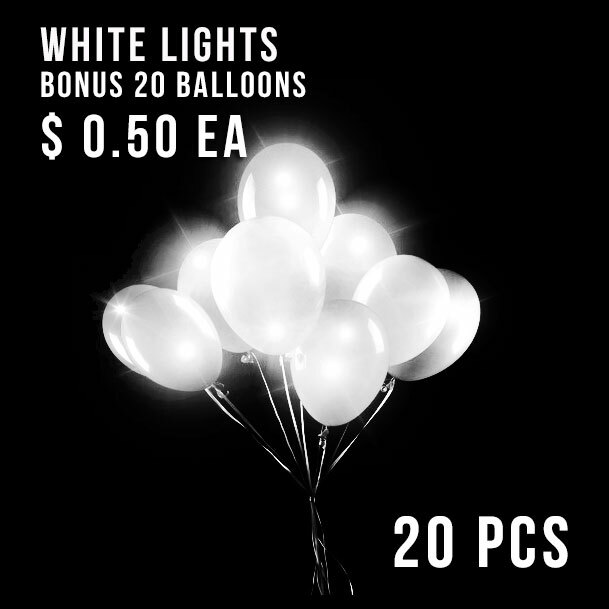 This pack comes with 20 White Balloon Lights and 20 Free 30cm White Balloons. These White Balloon Lights are static, meaning that they do not flash or flicker, just a constant light on. We feel these are best teamed up with white balloons to really let the light shine through but can be used with any balloon you have on hand. Flash modes Stays on white continuously. Battery/Glow life If left on, approx 2.5 hours before lights start to fade, then a slow fade off for the 1-2 hours. We feel its best to activate just prior to the party commencing for best effects. Over inflated balloons may pop. This product can also be used with paper lanterns and hung in trees or around gazebos as there is a small knob on the end which can be tied or taped to the inside of the paper lantern frame.